SCOPE programs bring together medical professionals and faith leaders to implement community-based interventions to improve access and uptake of life-saving maternal and newborn healthcare services. In 2015, the average Ethiopian woman had a 1 in 64 lifetime risk of death due to complications of childbirth and 89,867 newborns died before their 28th day of life in 2016. Reducing maternal and neonatal deaths has been at the top of the global health agenda for over a decade and was recently articulated in Goal 3 of the Sustainable Development Goals (SDGs). 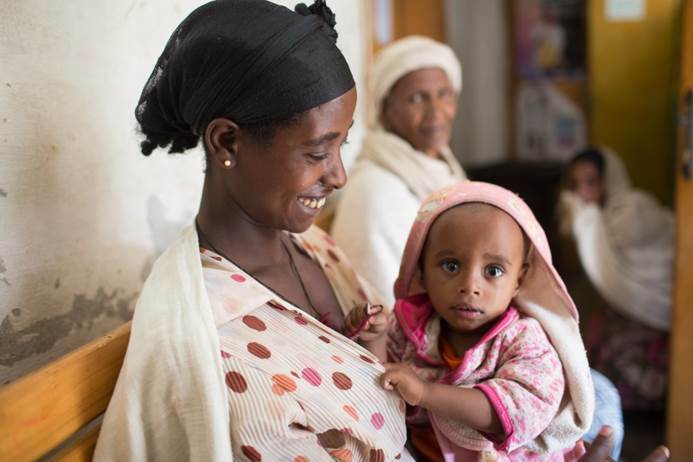 Use of MNCH services, however, still remains low in Ethiopia’s rural communities most at risk. Complex challenges including transportation, health literacy, imbalanced decision-making authority, and harmful traditional practices create barriers to increasing coverage. Our programs focus on improving access to antenatal care, facility delivery, and care for newborns. FLAME trainees at the University of Gondar. A priest meets with community health workers at the Aymba Clinic to discuss community outreach. SCOPE received a grant in 2016 to test an intervention designed to prevent maternal death called Faith Leaders Advocating for Maternal Empowerment, or FLAME. The program responds to the need to increase the number of women who get medical care during pregnancy and delivery in Ethiopia. The two-year FLAME study will inform and test a SCOPE outreach intervention that pairs Orthodox priests with community health workers at six Health Centers in the North Gondar region. The study team will compare Health Centers that complete the training program with control sites that do not receive the intervention. This program will provide evidence on how successful SCOPE’s model is at increasing the number of women seeking antenatal and delivery services at government Health Centers. If successful, our data will provide insight into how this type of intervention might be replicated. Dr. Getahun Asres leads the FLAME team in developing tools for SCOPE’s outreach intervention. These tools will help us understand women’s behaviors and preferences around childbirth, assess Health Center readiness to participate in the program, and incorporate perspectives from male partners, religious leaders, and health workers into the program. In addition, the study team worked closely with partners in the Zonal Health Office, Amhara Regional Health Bureau, Ethiopian Federal Ministry of Health, and the North Gondar Diocese to map out a plan for completing the training and outreach intervention in rural Gondar communities and to keep all partners informed. We are extremely grateful for the support of our partners and their contributions to this study. Our work would not be possible without them. Over the next few months the FLAME team will complete and analyze preliminary data. We look forward to sharing findings from the preliminary phase with you and to beginning training for priests and community health workers in early 2018. For questions about the FLAME study, please contact Kate Pfizenmaier, SCOPE Program Manager at kpfiz1@uw.edu. 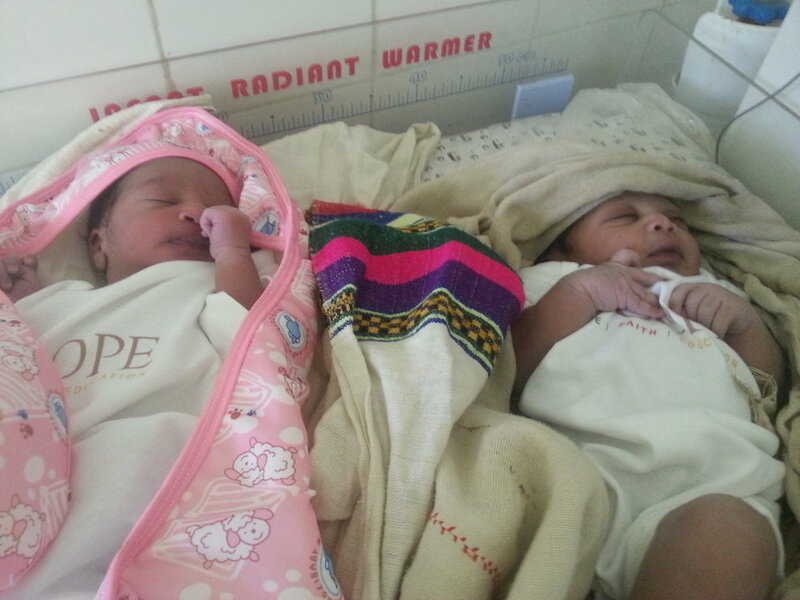 Healthy babies delivered at the Aymba Clinic where a SCOPE pilot for the FLAME project was launched.